The Printing Addon for Envira Gallery easily allows you to print your gallery images from the gallery view or lightbox view. 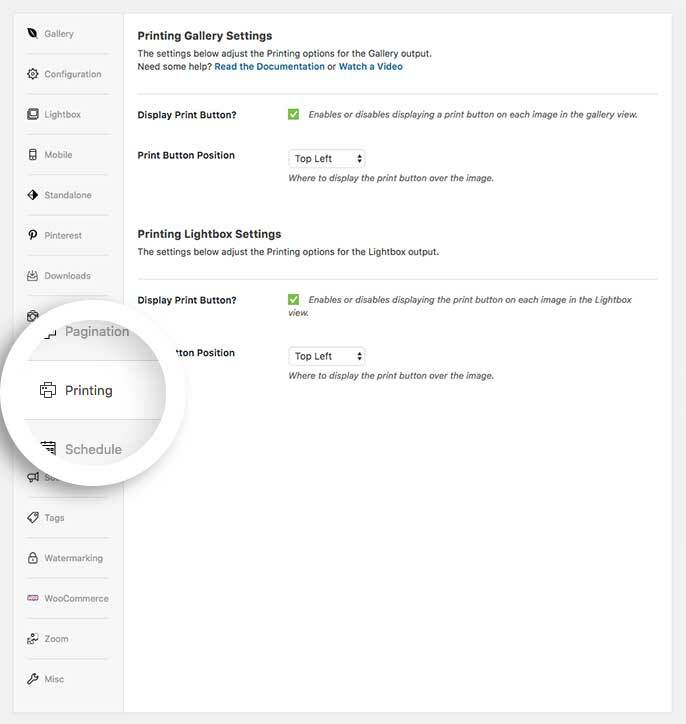 We’ll walk you through how to set up the Printing Addon on your Envira gallery. Why can’t I change the icon position for my lightbox? Can I use the Printing Addon with albums? In this instance, you’ll be activating the Envira Printing Addon. Next, navigate to the Printing tab. 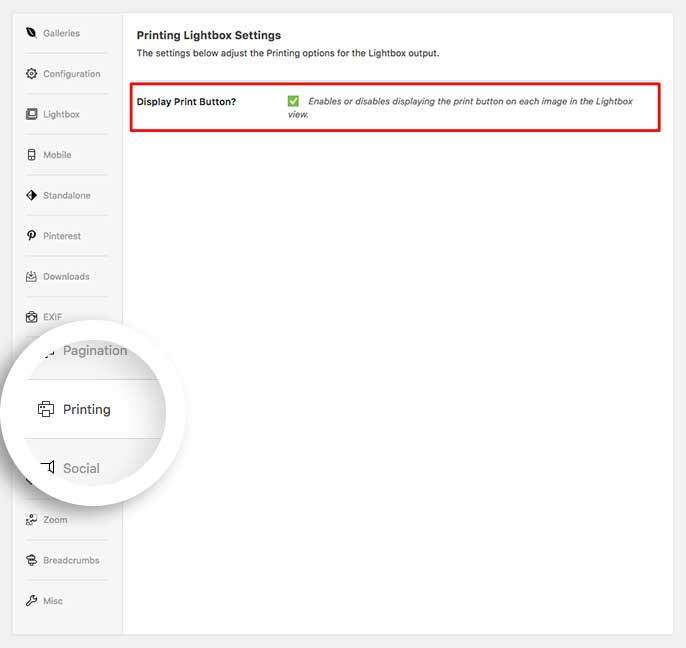 Here’s you’ll be able to set your printing options for the gallery view as well as the lightbox view. That’s it! You’ve just made it possible for your visitors to print directly from your Envira Galleries. Would you like to allow visitors to download images as well? Check out our Downloads Addon. 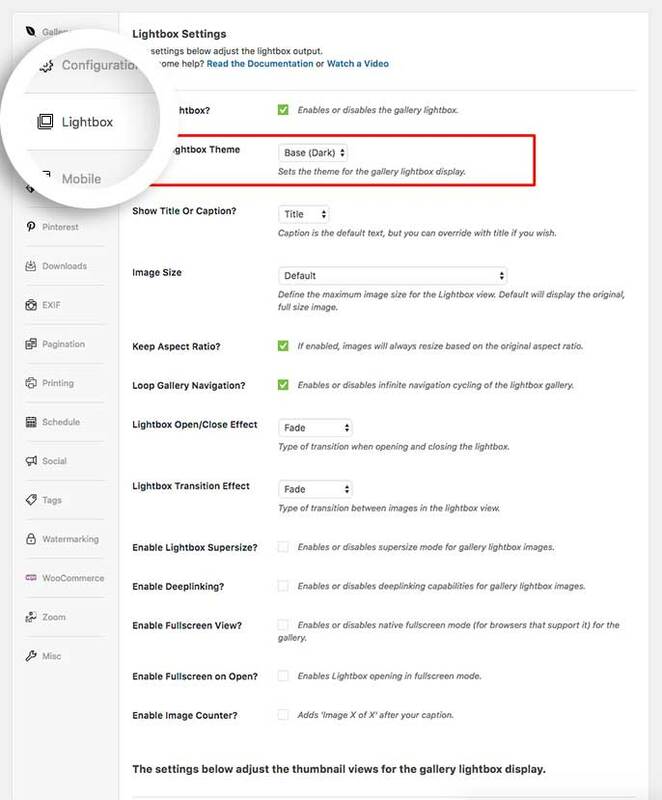 Q: Why can’t I change the icon position for my lightbox? A: The lightbox themes Base (Dark) or Base (Light) will always place the printing icon in the top right corner of the Lightbox. If you wish to change the position, navigate to the Lightbox tab and you can select a different Gallery Lightbox Theme from the dropdown. Q: Can I use the Printing Addon with albums? A: Absolutely! The Printing tab is also available when creating or editing an Envira Album. Fix: Various minor bug fixes and PHP notices resolved. Updated: Added esc_url to increase security for printing popup.